Cumberland County, North Carolina is located in the NC "Sandhills" area and traversed by the storied Cape Fear River. Cumberland County boasts 652.72 square miles of Southern hospitality, youthful enthusiasm, and entertainment in a humming economy. Cumberland County, NC (population 299,060, Census 2006 est.) was settled in the early 1700’s by European immigrants known as Highland Scots. Its early prosperity was due to its being a riverfront distribution center for early settlers. Today it has continued to grow as a key area of the state, and home to Fort Bragg and the Pope Air force Base. The county seat of Fayetteville is known as “America’s Home Town." A unique county resident service, and one greatly appreciated, is the pilot project: Cumberland County Prescription Drug Discount Card. You may be considering the financial option of bankruptcy, a federal plan that allows debtors to divide assets among creditors and free themselves of financial obligations that cannot be repaid. In some cases, debtors can stay in business and use new revenue to resolve old debts. Cumberland County is in the Eastern District, with Bankruptcy Courts in Elizabeth City, Fayetteville, New Bern, Raleigh, Wilmington, and Wilson. The Wilson Division is located at 1760-A Parkwood Blvd W, Wilson, NC 27893-3564 (phone: 252-237-0248), while the Raleigh Division is at 300 Fayetteville Street, Second Floor, Raleigh, N.C. 27601-1799 (phone: 919-856-4752). 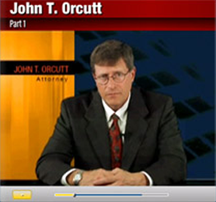 Do you have questions about bankruptcy and reside in or near Cumberland County North Carolina? 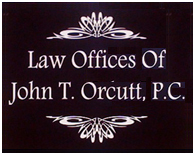 If so please visit the Law offices of John T. Orcutt in Fayetteville to find out more. We provide a FREE in depth bankruptcy consultation that will explain the best course of action to take depending on your debt situation. You can make an appointment online or call (910) 323-2972 to do so. 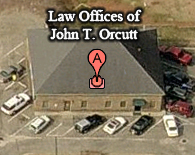 For directions and a bird's eye view to more easily find our Fayetteville office please click here.